Creative Problem Solving tools specifically designed for the following FPS components: Global Issues Problem Solving, Community Problem Solving, and Scenario Writing. 2010 edition. Printed publication. 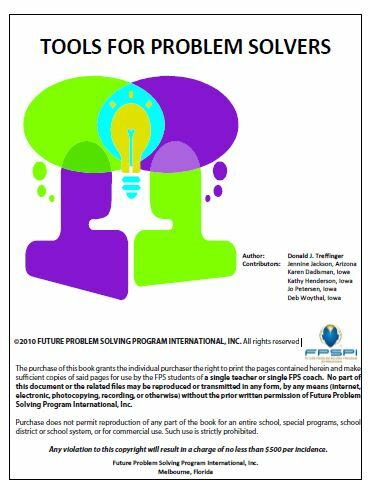 (c)Future Problem Solving Program International, Inc. All rights reserved.